In many situations, the outcome of civil or criminal trial may not be in your favor. In such cases, you should know that your case is not necessarily over, as you have the legal right to appeal the trial decision to a higher court. In order to file a proper appeal with a strong chance of success, you should always contact a law firm with extensive experience with the appellate process. Appeals involve many unique procedural rules, deadlines, and standards of legal review that differ significantly from those in the trial court. However, in order to put forth a persuasive appeal, you must also fully understand the trial process, how the trial decision was reached, and any errors the trial court may have made. 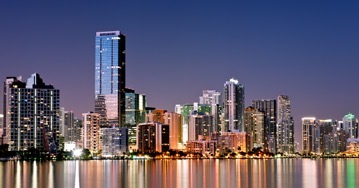 At the Baez Law Firm in Miami, our lawyers have extensive experience at both the trial and appellate level. This allows us to fully analyze a trial decision in order to file a comprehensive appeal that is in compliance with all appellate court rules. If you believe that you may need to file an appeal, please call our Miami appeals lawyers today for assistance. Improper procedures were followed regarding the admittance of evidence. The above are only some examples of common bases for criminal appeals. We will see your appeal all the way through to fight for your conviction to be overturned. While losing a trial in civil court does not mean that you will go to prison, it may mean that you lose out on significant compensation that you deserve or that you are wrongfully ordered to compensate another party. In both situations, losing a civil trial can be extremely costly. The experienced appellate lawyers at the Baez Law Firm understand how to prepare and file a persuasive civil appeal and to represent your rights and interests in front of the appellate court. The procedures involved in appeals are complex and you should always have an lawyer handling your case who fully understands these procedural differences. Losing a criminal or civil trial does not mean you should give up on the legal process. Instead, you should discuss a possible appeal with the Baez Law Firm as soon as possible. We work with a highly skilled network of appeals lawyers to approach your appeal as a team effort, which enhances our abilities to build an effective appellate strategy. We have the resources and skill needed to help you succeed in a criminal or civil appeal, so please call 800-588-BAEZ to discuss your situation with our Miami appeals lawyers as soon as possible. We offer consultations in both Spanish and English.